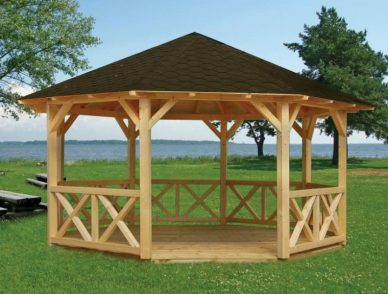 Our gazebo kits are the perfect addition your backyard has been waiting for. Gazebos are great outdoor spaces for parties, entertaining friends, or spending time with your family. These kits are easy to assemble and can be customized to meet your needs. 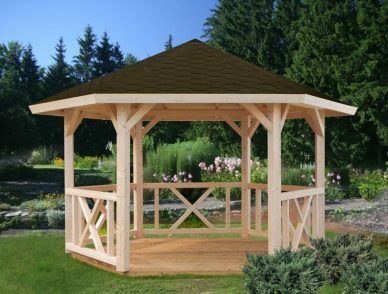 The many different designs allow you to pick the type of gazebo that works elegantly with your backyard. 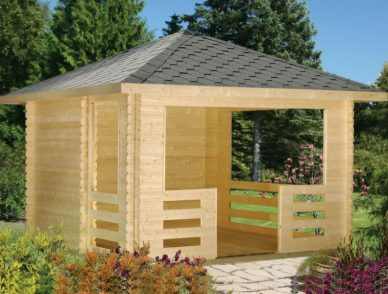 Our gazebos range from 88 to almost 200 square feet, so no matter what size your backyard is, we have a model that will fit right in and help you enjoy life more. Choose from gazebos that have a one or two-sided opening, can fit an eating table or just a few lawn chairs, and are either wide open or have more privacy. Our sturdy designs will be simple to put together and can help you and your family have an even better time spending quality time outdoors together. Put it by the pool, so you can relax while watching the kids swim or near the garden to enjoy the peaceful scenery. 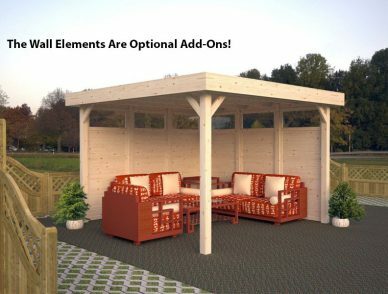 Having a gazebo can also protect your skin from the sun and can give you shade. 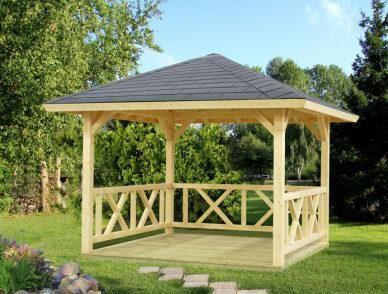 Whatever your backyard dreams are, you can reach them by building with one of our gazebo kits.